Supercharge your storytelling skills through the power of visual metaphors with our creative and versatile Storytelling Cards. With 32 beautiful designs, this pack of cards are an ideal launch pad for a huge number of activities to stimulate constructive storytelling in the workplace, in an education setting or even at home with friends and family. 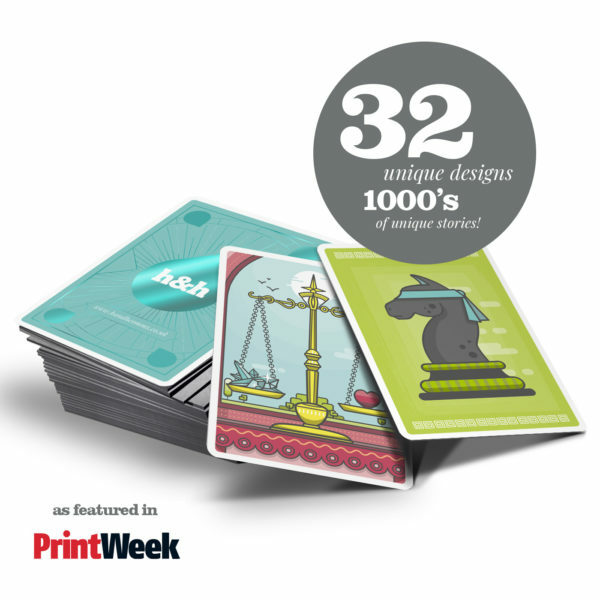 As featured in Printweek, read the article here.